Successful parts inventory management goes back to knowing the difference between good deals and great deals on spare parts available. Unfortunately, the modern era is also the era in greatest need of added vigilance by suppliers and purchasers. More unauthorized retailers are trying to sell service parts online than ever before, and relaxed restrictions on selling items online have created opportunities for those who would appear willing to deceive their customers. Rather than trying to go it alone in parts inventory management, you need a trusted partner with experience in each of the following areas dealing with parts management. In a recent conversation with Chris Schrader of Flash Global, the topic of manufacturers selling parts directly to consumers was brought up. Unfortunately, most manufacturers tend to be interested in maximizing produc tion, and, according to Schrader, “Manufacturers may be located overseas or [in areas] difficult to reach [by consumers. ]” Consequently, it may be impossible for consumers to purchase OEM parts within reasonable time frames directly from manufacturers. This is where an authorized OEM-partner comes into play. An OEM-authorized partner has access to genuine OEM parts in their inventory, and if the parts are not readily available, they have the tools and resources necessary to make repairs or obtain parts sooner than many “super-cheap cost options online.” Also, you can access the IT expertise and customer support of OEM-authorized partners if anything should go wrong when installing new parts. In business, it is easy to want to believe what other businesses say. We all hold a belief in the moral consciousness of others, but sometimes, things that look too good to be true are too good to be true. Unfortunately, there will be times when the OEM partner cannot help with the costs already lost on parts that are not what the seller claimed. However, an OEM partner can make sure suspicious or fraudulent parts are not purchased again in the future, improving profit margins and preventing unnecessary costs. The warranty of purchased parts often includes a list of terms and conditions purchasers must meet in order to maintain the validity of the warranty. For example, a warranty on a smartphone may be voided if a consumer “opens up the device.” Obviously, that is far-fetched example, but the same concept can be applied to service parts. If a piece of computer equipment is worked on by a non-OEM partner, the warranty may be invalidated. Furthermore, a warranty can be much more than just repairs. What if the entire product needs to be replaced? A replacement is great, but most companies require consumers return the damaged or faulty product in exchange for a replacement. In the case of business, especially companies documenting financial or other personal data on consumers, ensuring information on hard drives is removed before refurbishment or recycling is essential to preventing future legal liability. As a result, an OEM-authorized partner should maintain ISO standards, including environment management of materials and removal of sensitive information. In fact, Flash Global maintains the environmental standards set forth in ISO 14001. The other side of this conversation also deals with possible financial penalties assessed by governments if a violation of sensitive data occurs. In the case of health information, a single violation can cost upward of $10,000, if not significantly higher. The Internet is littered with accounts of multimillion-dollar settlements between the government and health organizations for violating the Health Insurance Portability and Accountability Act (HIPAA) when patients’ protected health information was not removed prior to the disposal of hard drives. When looking for parts online, some sellers are real and have authentic, new parts. But, many of these parts have costs much closer to what they would traditionally be when working with an OEM-authorized partner. In other words, the cheapest parts available are not necessarily the best parts available. However, an OEM-authorized partner may be able to obtain discounted, authentic products due to buying power. For example, a company that can purchase 1,000 units for spare parts inventory will be able to obtain a better per-unit pricing than a smaller company purchasing 10 units for spare parts inventory. Meanwhile, companies with known reputations in the spare and service parts industry, such as Flash Global, can access even better per-unit rates. 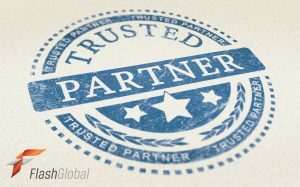 As a result, it is in your best interest to work with a company that has a global footprint of OEM-authorized relationships. There are plenty of reasons to review all of your options when you need spare parts or service and repair on your equipment. But, you only need one reason to work with an OEM-authorized partner; you need to get the part you expect to get. If you pay pennies for something that costs much more even with OEM-authorized partners, you are probably not getting what you think. Ultimately, you have to pay for what you buy, so why wouldn’t you want to make sure you are getting what you pay for? You deserve to get what you expect and need for your business. 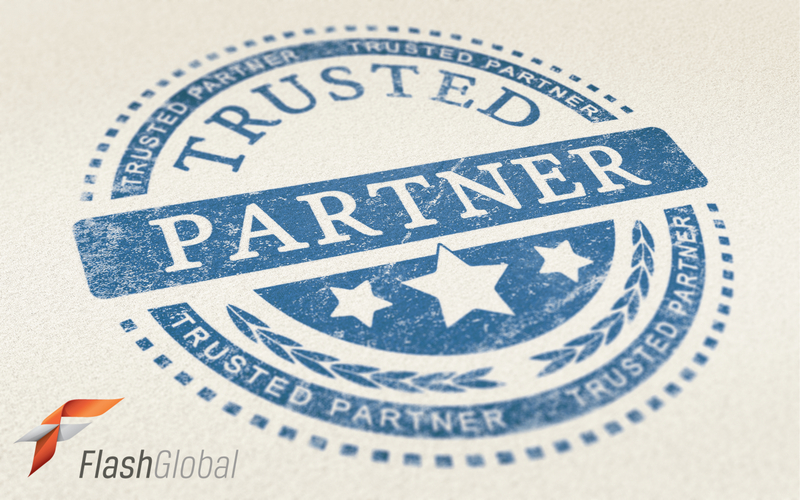 With multiple OEM relationships, Flash Global can provide the parts you need when you need them. Contact a Flash Gloal today to learn more.